B. Thomas (Arlington, Texas, United States) on 4 September 2015 in Architecture. 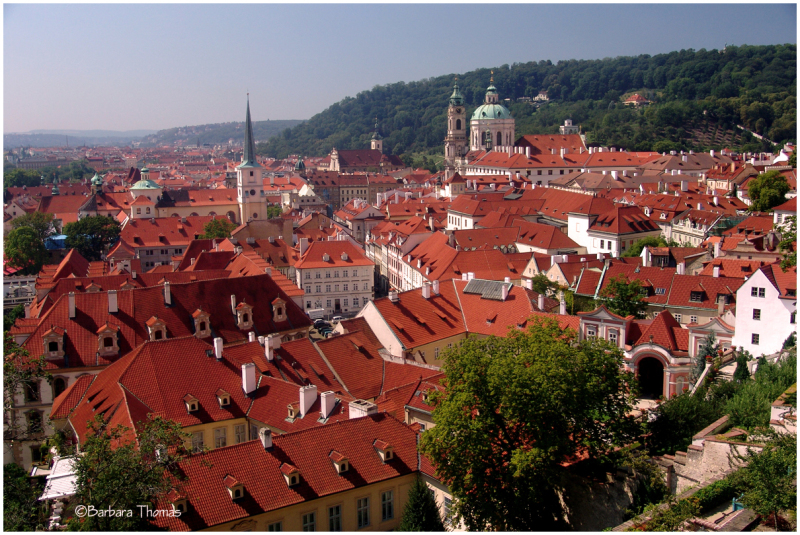 From any of the seven hills of Prague, the first thing you see is a breathtaking view of the Prague red roofs that have become the hallmark of the city. What a pleasing uniformity that color provides . .
Out of the norm.... and I love it! Interesting! The roofs talk to each others. Such a beautiful photo, Barbara. I love the red roofs you collected.